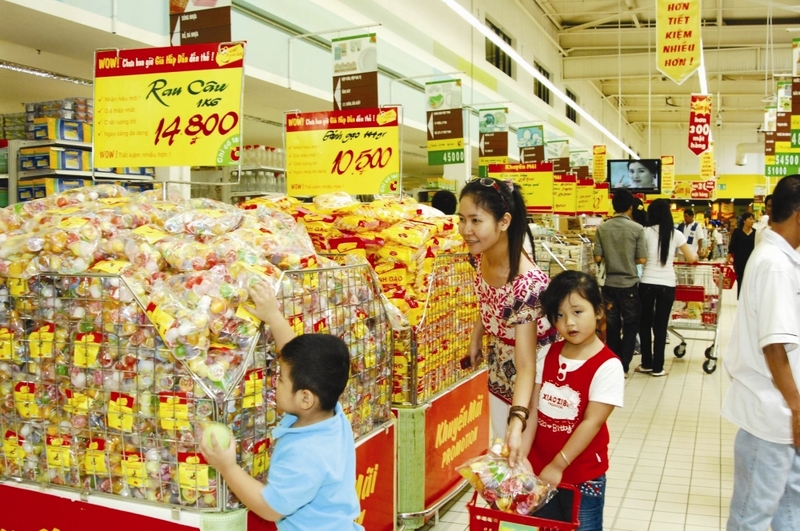 Data of the General Statistics Office of Vietnam (GSO) show that March CPI is 0.27 percent lower than February’s, as prices of foodstuffs, consumer goods, and cultural, entertainment and transport services decreased 0.09-0.77 percent after Tet (the Lunar New Year holiday). However, the CPI in the first quarter of 2018 increased 2.82 percent over the same time last year. Do Thi Ngoc, Director of the GSO’s Price Statistics Department, said that on January 1, 2018, the government issued a resolution on the macroeconomic performance of all sectors, according to which solutions have been implemented to keep the first quarter’s average CPI growth under the national assembly’s target despite price increases during Tet in January and February. Ngoc said the planned increase in the price of many goods and services controlled by the state, such as healthcare, and growth of the monthly minimum salary by VND90,000 starting in July, would affect the cost of living. The US Federal Reserve System (Fed) raised the interest rate to 1.75 percent - the highest level in recent years, and is expected to increase the rate two to three more times from now to the yearend. This will lead to a higher dollar value, which in turn will increase the price of goods imported by Vietnam. The GSO has predicted that the CPI in 2018 will increase no more than four percent over 2017 and no more than five percent over December 2017. At a March meeting of the price steering committee, Deputy Prime Minister and committee head Vuong Dinh Hue urged ministries and sectors to ensure the CPI does not exceed 3.55 percent in 2018. Tran Thi Phuong Lan, Deputy Director of the Hanoi Department of Industry and Trade, said the department would hold a big conference in April to connect Hanoi with 19 provinces and cities and promote other smaller scale supply-demand connection activities to balance supply and demand, prevent a “price fever” and minimize oversupply of goods. 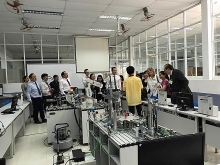 Nguyen Phuong Dong, Deputy Director of the Ho Chi Minh City Department of Industry and Trade, said the city would establish a commodity exchange to ensure stable supply, demand and prices. Deputy Prime Minister Vuong Dinh Hue told the Ministry of Industry and Trade to coordinate with the Ministry of Finance in further administering the petrol price stabilization fund, maintaining the stability of the domestic petroleum market and electricity price in 2018, and strengthening power efficiency.